Incredible 40 acres for sale located near Cascade, Montana. If large acreage and views are important to you, this property is a perfect fit. The views from this property are absolutely amazing! Enjoy the old growth of a Douglas Fir forest. You'll have the perfect mix of meadows, timber, views, and amazing building sites. The world-famous Missouri River is just a few miles away. This is trout fishing at its absolute best! Take the time to do a quick Google search and look up all the Missouri River has to offer. 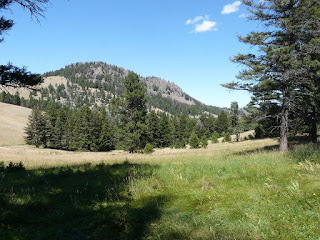 You're just a few miles from Holter Lake and the Gates of the Mountains Wilderness area! From this property you have access to public land and wildlife is extremely abundant! Call today for your private showing! This is a once-in-a-lifetime opportunity as a property like this doesn't come available very often! Priced at $110,000. Contact Scott Joyner at 406–223–6039 for more information.